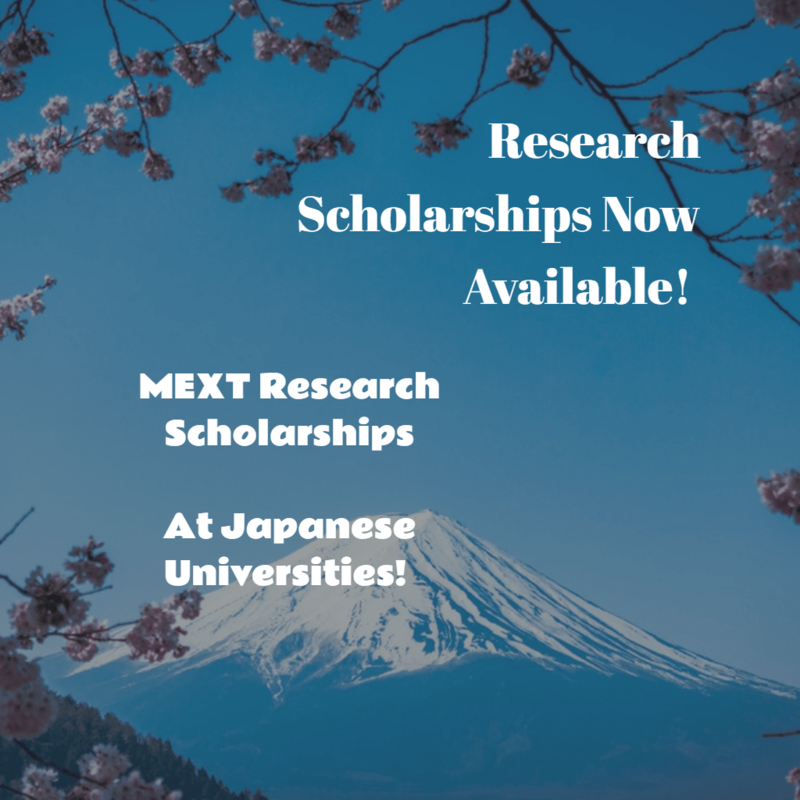 The Ministry of Education, Culture, Sports, Science and Technology (MEXT) in Japan offers scholarships to international students who want to pursue graduate studies at Japanese Universities as research students under the MEXT Scholarship Program. The research scholarships are offered for two years, including 6 months of preparatory study of Japanese. Applicants should select the field of study that is identical to what they majored in at university, or any related field. These fields of study must be subjects that the applicant will be able to study and research at graduate level in Japanese universities. Obtain a student visa at the Japanese diplomatic mission located in the applicant’s country of nationality. Applications should be sent to Japanese diplomatic missions by the deadline. All examinations and interviews will be conducted at the Japanese diplomatic missions in the applicant’s home country. Applicants who pass the First Screening will be recommended to MEXT. MEXT then conducts the Second Screening of these applicants, and decide who receives the scholarships. The application deadline is 12 June 2018 at 17:00 AEST.